Mend damage, continue protection. Learn more. 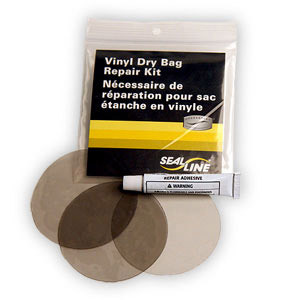 Make permanent repairs in the field to any vinyl-coated dry bag, dry duffle, or dry backpack with these transparent patches. Kit Includes: Three (3) vinyl patches and a tube of adhesive.